Multiple forms of arthritis may impact knee function and health, resulting in substantial discomfort and loss of joint mobility. Based on the type present, as well as the level of degeneration experienced, Dr. Kastrup will recommend an approach for comprehensive care. Focus will be placed on both symptom relief and the correction of any present damage. Osteoarthritis is the most common form of knee arthritis, and is characterized by the progressive breakdown of joint cartilage. While genetics influence the occurrence of OA, aging and activity-associated wear-and-tear are also significant contributing factors. Rheumatoid arthritis is an inflammatory disease that results in faster-paced cartilage destruction, and is often associated with severe joint swelling and immobility. Unlike OA and RA, post-traumatic arthritis stems from a specific joint injury, such as a ligament or meniscal tear, and may not emerge until years after the initial damage. In many cases, symptoms will grow more frequent and extreme over time, as well as be exacerbated by periods of physical activity. When diagnosing the presence of knee arthritis, Dr. Kastrup will document a symptom history, as well as employ a combination of basic motion tests and more in-depth diagnostic exams (such as an MRI or X-ray). If these non-invasive efforts do not provide substantial relief, or if initial damage is too severe for their use, an additional approach to surgical correction may be recommended. Whether a minimally invasive or traditional open approach is employed, a gradual approach to knee rehabilitation will be encouraged, emphasizing the avoidance of post-op irritation or re-injury. Immediately after surgery, all stitches or sutures should remain covered by a dry, surgical dressing for up to 2 weeks. In addition the RICE approach of rest, ice, compression, and elevation will likely be recommended for use in combination with anti-inflammatory and pain medications, in order to reduce post-op discomfort and pain. 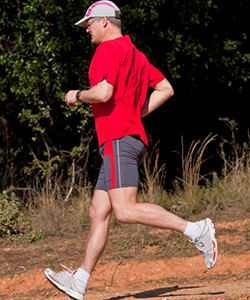 Dr. Kastrup will prescribe a gradual return to physical activities and overarching knee use. Initial therapy efforts will focus on rebuilding flexibility and rotation, followed by the undertaking of strength exercises. Regular checkups will be completed to ensure successful recovery, as well as the avoidance of over-exertion or other setbacks. As with any surgical procedure, unexpected symptoms or causes for concern should be reported to the medical team immediately. To learn more about Dr. Kastrup's approach to treating knee arthritis, contact his Henderson, NV office.